And here we have the SEGA Saturn. 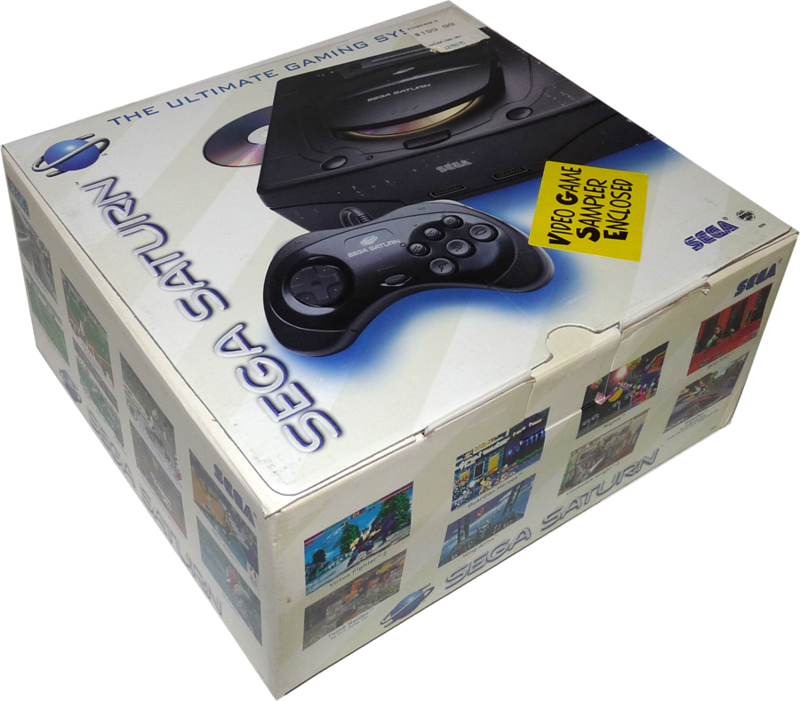 This was SEGAs stand-alone 32-bit console (as opposed to the SEGA 32X). Word is SEGA caught wind of the release date for the SONY Playstation and released this guy months earlier than they had told developers they would, chaos ensues. I was at home when my buddy called me from the Mall. He was at Babbages and was telling me that the Saturn was sitting on the shelf! After telling him he was full of *^&#, I gathered up what Jeffery Dollars I had and went to Toys R Us. 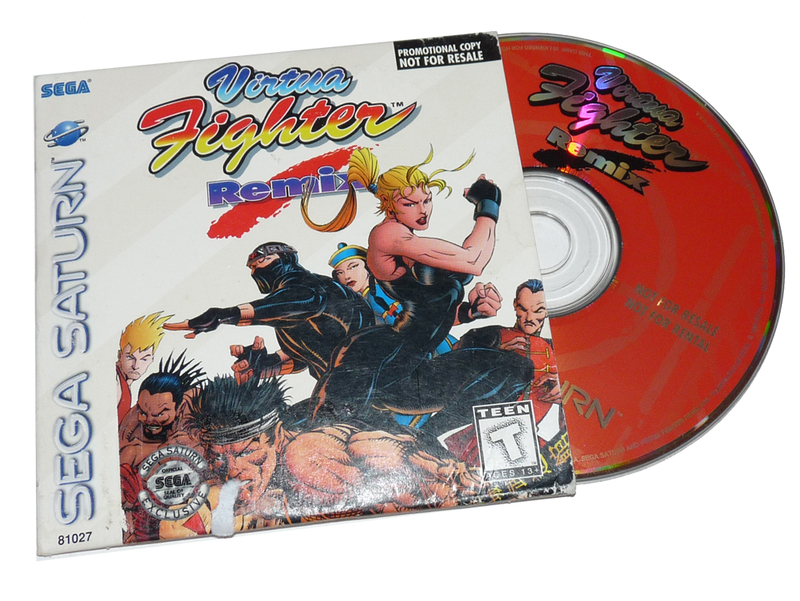 I returned home with my new system and popped in Virtua Fighter. I slept several days later. 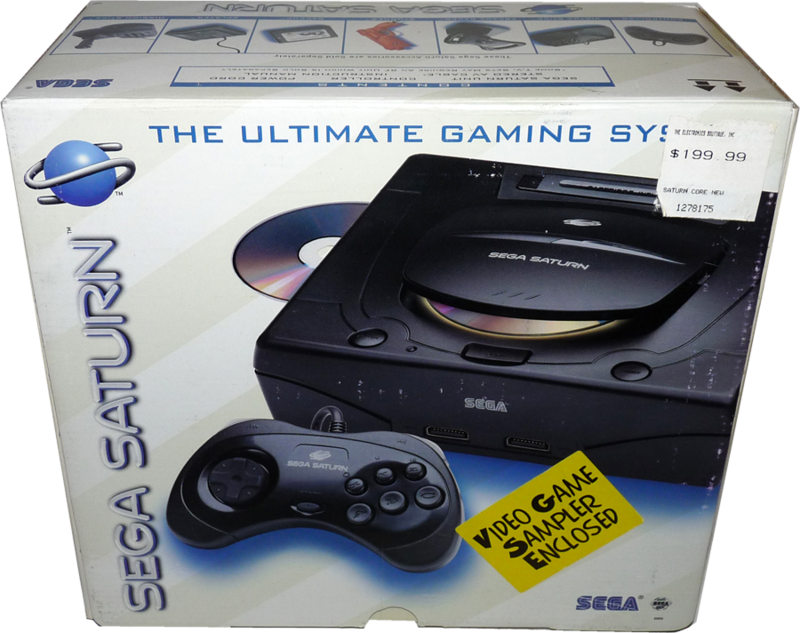 While SONY took the lead and helped bring an end to SEGAs console making days, I loved my Saturn. It is a phenomenal 2D gaming machine that is filled with many awesome titles. The original version can easily be identified by the Power and Reset buttons being OVAL instead of ROUND. 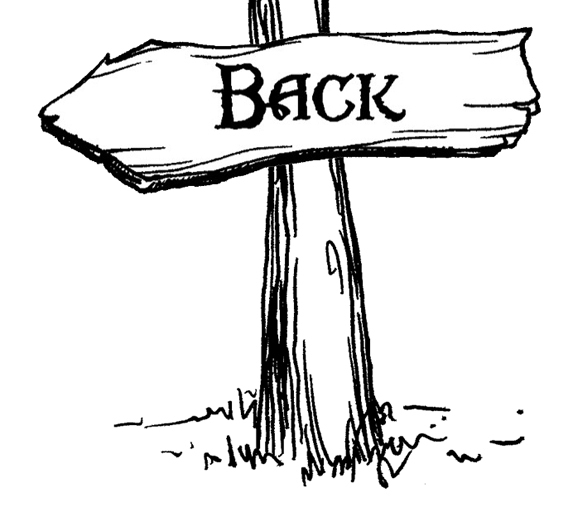 Hence this version if often refereed to as the Oval version. It also had no notches on the power supply port, allowing it to accept a wider gamut of power cords (a standard 2-prong half flat/half round power cord). I like the look and feel of the SEGA Saturn (both versions). They are both heavy units that feel and are well built in my opinion. I have has a whole lot of Saturns in the house at one time and both models seem to hold up pretty well over time. I’ve has some dives fail, but they are easy to replace if you can find one. 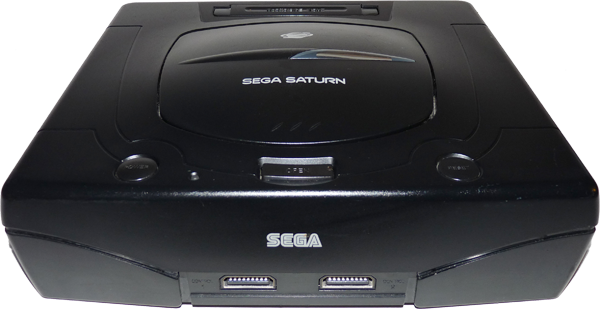 The original Saturn has two controller ports on the front. 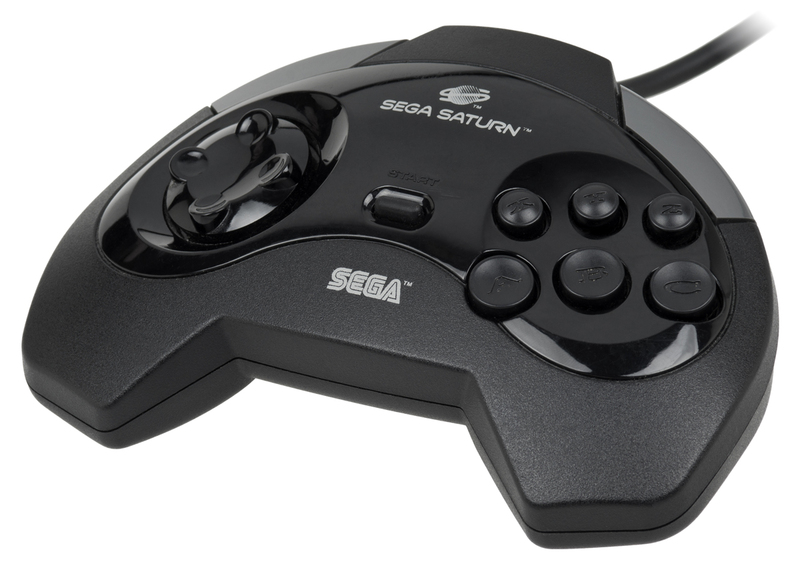 SEGA moved on from the standard Genesis controller ports and went with a larger metal port. The SEGA Saturn Multi-tap would allow up to 6 controllers to be plugged in. The original SEGA Saturn also came with a larger joystick for the US, than the smaller Japanese pad. This controller looks like a 6-button SEGA Genesis controller with a shell around it if you ask me. The smaller controller would soon replace and ship with the unit. You can see them below. On the top of the machine from right to left we have a Power Button and its’ LED light, then the Eject Button in the center. 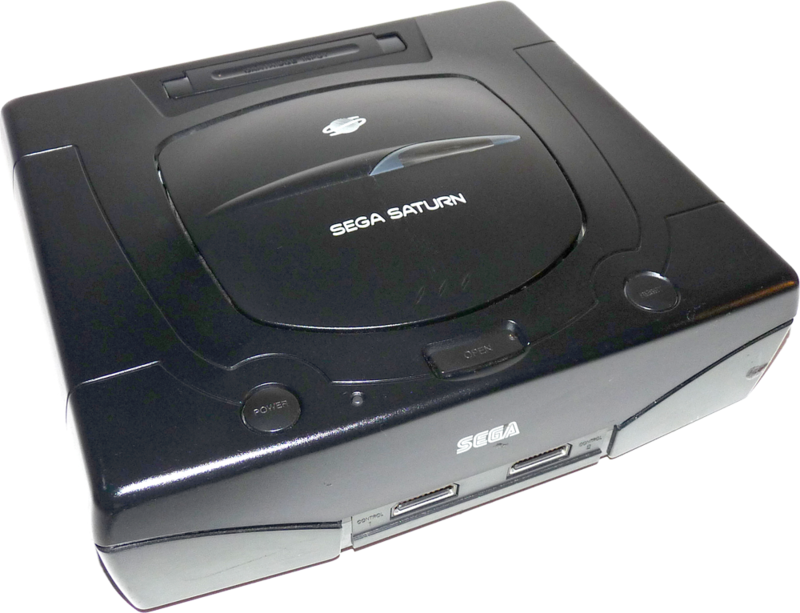 Next to that there is an Access LED that blinks when the Saturn is accessing the disk and finally the Reset Button. The Reset Button will make the current game restart as if it were inserted again. The Eject Button pops open the clam tray for the CD and the Power Button of course turns this baby on. The Power Button locks down when on. The left and right sides of the unit are free of inputs but do have some vents for cooling. 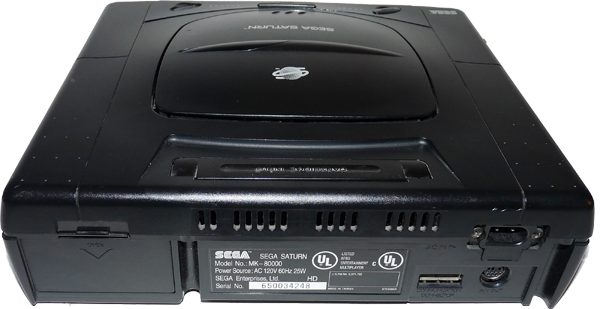 On the back of the SEGA Saturn on the left side there is a large access panel that is held in with a clip. This provides access to change the internal battery. This uses a standard CR2032 watch battery that you can buy almost anywhere. The battery pops out of the unit with ease and is easy to replace. And you will want to replace it! This battery will keep the internal clock of the Saturn working. This save date and time information. If your battery is dead then you will be prompted to enter the time and date every-time you turn the SEGA Saturn on, and it is annoying. On the right rear side of the machine you have a Communication Connector port that was used with the SEGA Netlink Modem. Next to that are the AC Power Supply port and the AV OUT port. 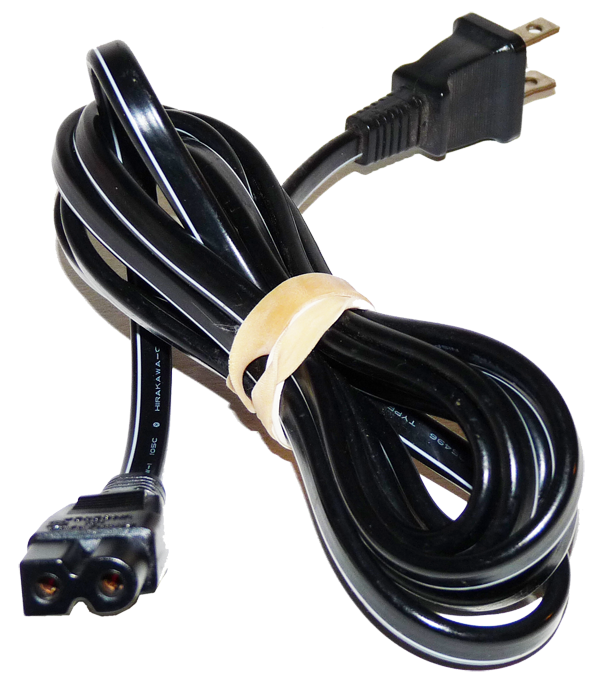 One nice thing about both SEGA Saturn models is that the power cable is a standard 2-prong cable that is used for all kinds of products and can be found easily if you loose yours. Gone is the large Power Supply boxes from the Genesis days. The AV OUT port looks very similar the the old SEGA Genesis port but the cables are not interchangeable. 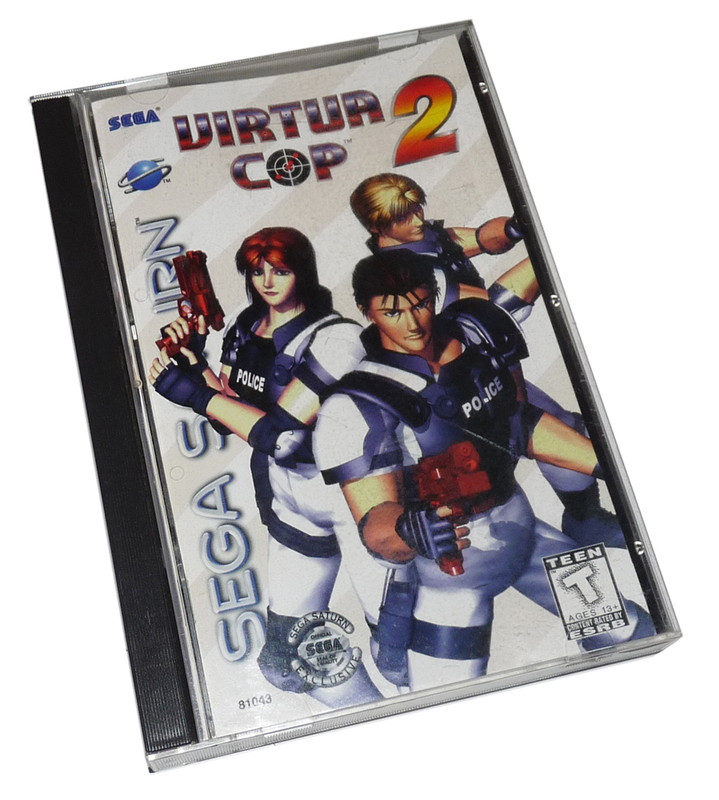 One the plus side this port will output S-Video which make for a better picture from your SEGA Saturn. Note: The power cable port of the SEGA Saturn is different between the versions. The original model was "keyed" differently from the 2nd version below. They are designed in such a way that a cable that works on the original model will not work on the 2nd version. But, the cable from the 2nd version WILL work on the original model. The second version, released in 1996, changed to case slightly and altered some of the internal layouts for cost savings and efficiency. The front of the machine retains the same controller ports and looks identical to the original with the exception of the SEGA logo that is now here instead of on the top left corner fo the original model. This model also included a smaller (Japanese version) controller. On the top of this version the Power and Reset buttons are now ROUND, this is the easiest way to see which version your have. The drive access light has been removed, but the power LED remains. The clam tray is constructed in a slightly different way on this model also. The back of this version has the same layout and ports as the original with one exception of the keyed power port. The Power port on the back has a notch added making the old power cord no longer usable on the newer models. Although it’s still easy to find a cord almost anywhere. Outside of the cosmetic changes quite a few internal changes were made. 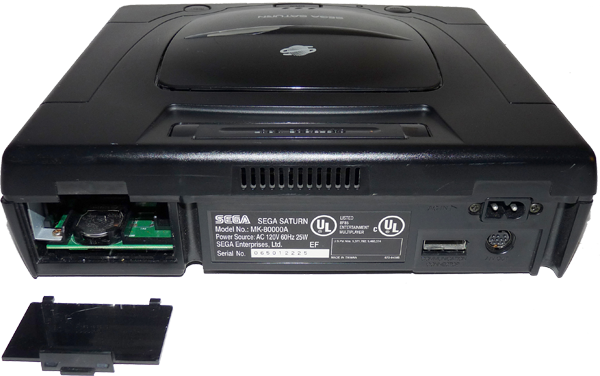 On the original model the Power LED and the Access LED were actually attached to the top part of the Saturn Case. So if you open the unit (to switch out a drive or something) you would have to be careful as there is a small wire group that runs up from the bottom half of the unit where the computer boards are and attaches to the top half of the shell and run to the LEDs to power them. On this version the Access light is gone and the Power light is a clever plastic tower extension coming from the bottom of the unit that transmits the light which is now attached to the main board. This removed any need for a wire to be attached the top of the shell meaning it will lift right off with ease. This version, released later in 1996, had only internal cost saving changes made and is cosmetically identical to the 80000A model. The SEGA Saturn originaly came with a larger beefier controller than it’s Japanese counterpart came with. This was assumed to be better for the larger American hands! This controller is basically an evolution of the SEGA Genesis 6-button controller. You have the same 8-way directional D-pad, 6 action buttons, smaller XYZ buttons across the top and larger ABC buttons below. A start button is located in the middle. This was SEGA’s first controller to feature the now standard shoulder buttons. On this controller they are large and conver the whole back of the controller from front to back. These are good sturdy controllers that hold up well and really it just comes down to preference between this one and the smaller version below. 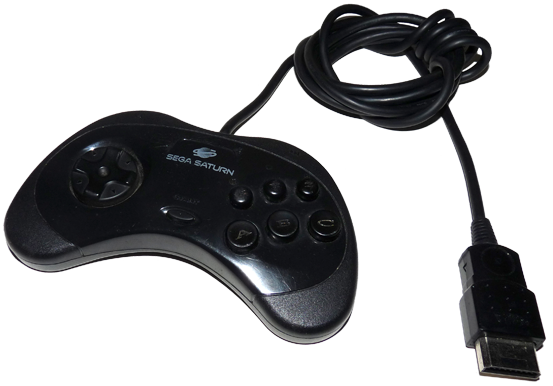 With the release of the 2nd version fo the SEGA Saturn the controller was changed to the same smaller version that the Japanese Saturn originally shipped with. This one is noticably smaller than the original but functions is the exact same way. It has all the same button layout as the original jsut more compact. The shoulder button are changed a bit and are now just pressable from the very top. This guy is easier to handle for those with smaller hands and is gernerally easier to find. 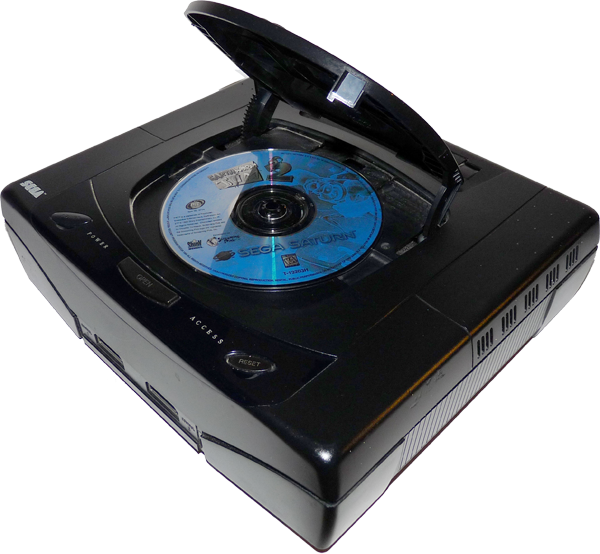 The SEGA Saturn along with the SONY Playstation 1 were the first consoles to focus on 3D Polygon based games. 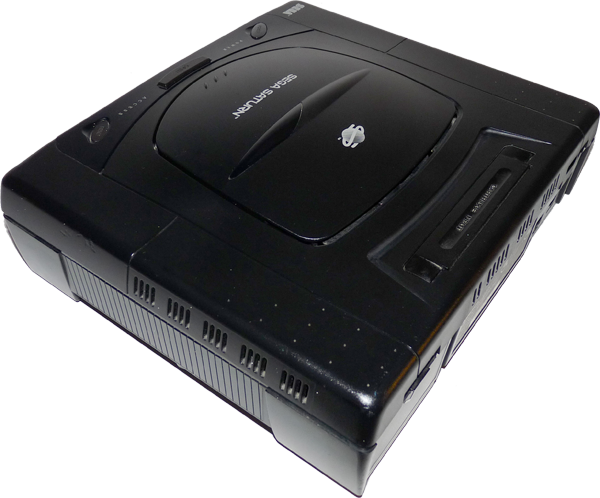 While the SEGA Saturn is quite capable of polygon gaming it was harder to harness it’s capabilities than the Playstation was due to some internal chip designs by SEGA. This lead to many games that appeared on both systems looking slightly better on the SONY. But don’t fret to much it can still hold it’s own. Where the Saturn really excelled was with 2D games. Where the SONY Playstation has the edge in the 3D realm, the Saturn has the edge in 2d based games. 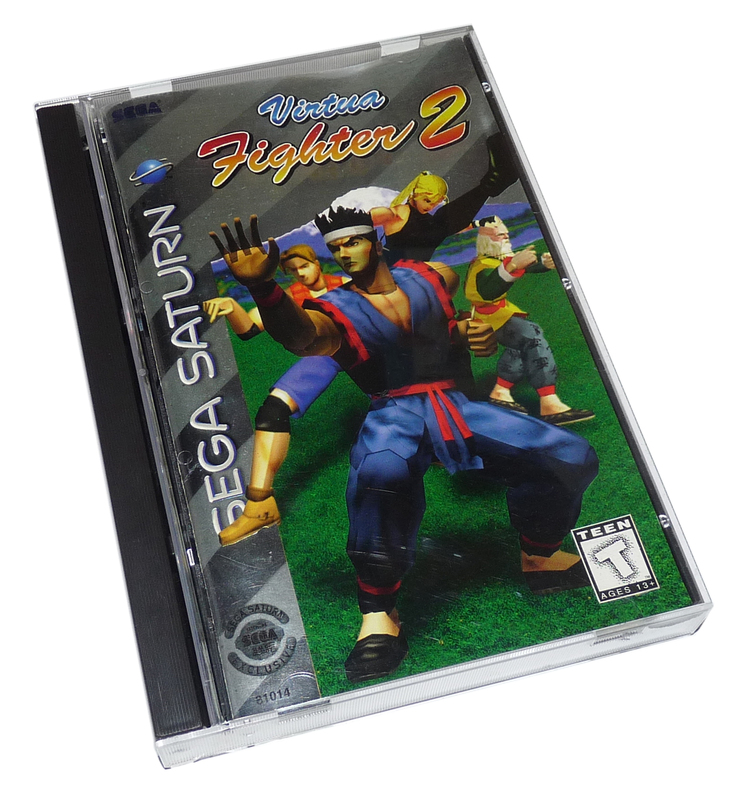 So fighting games like Marvel Superheroes and platformers generally had an edge on the Saturn. SEGA Saturn liek the SEGA CD games were of course, CD based. These are regular CDs and not DVDs so they had about 700 meg of storage. 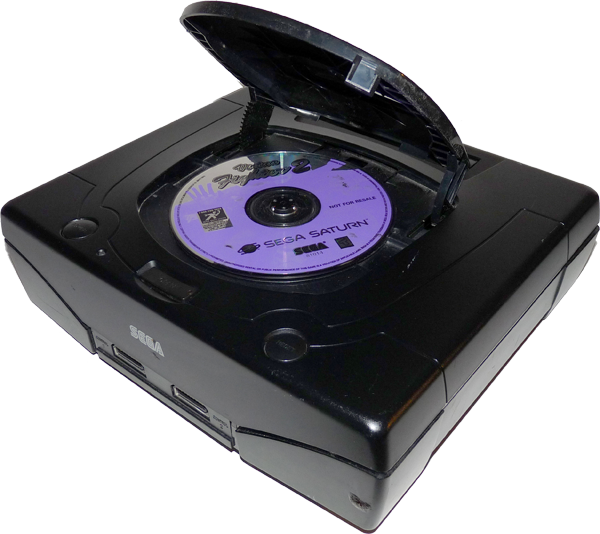 The case for the SEGA Saturn gaems is the exact same plastic case used for the SEGA CD games. They are built from plastic and have a hinge on the top and bottom of the case that allows it to open like a book. The manual is also the cover of the game. Once opened you could remove the manual from the front of the case where it was held in with some smalls tabs. This can bit a bit of a pain with thick manuals and you can often see the damage to the manual on the top and bottom where the tabs hold it in place. The back part of the case holds the CD with a standard CD clip right in the middle. There was also a foam rectangle that was placed over the CD to fill up the vast amount of empty space inside the case and help keep the CD in place should it come loose from it’s clips. Despite their shortcomings these guys do look good on a shelf together. The cover design and graphics were often awesome. 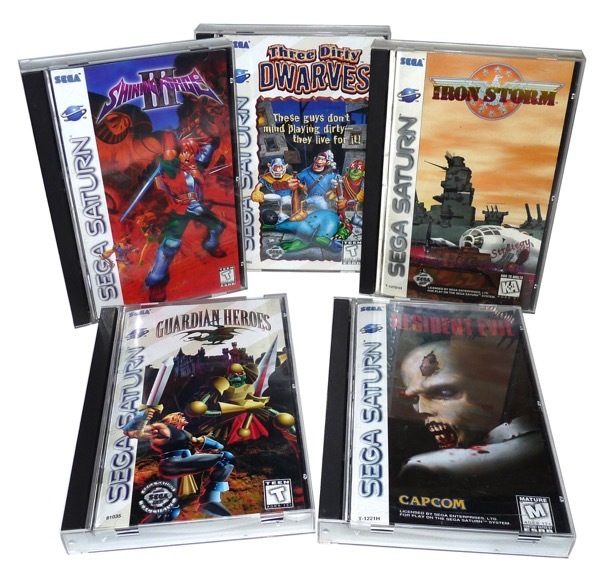 They alos look great when placed with SEGA CD games as they matchup perfectly. 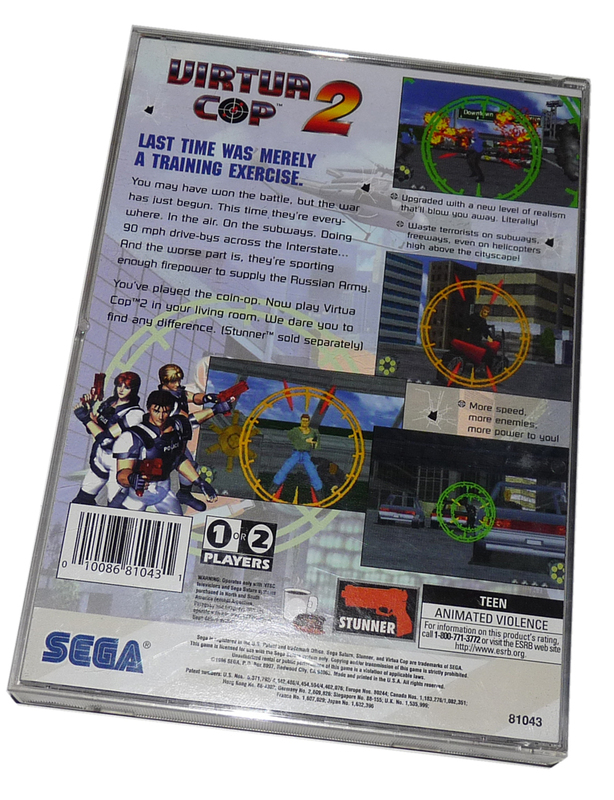 The pack-in games and a couple of games the SEGA sent you via mail came in a small cardboard CD sleeve.